Gringos like me don’t forget their first hallaca. Mine was lying on a simple white plate, in the coastal town of Lecherías, Venezuela, on the patio of my future in-laws’ home. It was a soft Caribbean Christmas Eve in 1985. The tawny tamal was swaddled in smoked banana leaves that reminded me of the lush, exotic foliage of an Henri Rousseau painting. I unwrapped it, cut into it, took a bite – and rediscovered Christmas. Non-Venezuelans always seem to have that experience, and increasingly here in Miami. “I see Americans in the restaurant, and it’s like, ‘Wow, what is this? How come I never had this before?’” says Lorenzo Di Stefano Jr., who is vice president of his family’s local chain of restaurants, El Arepazo Dos, one of a number of Venezuelan eateries from Doral to Weston that serve hallacas at the holidays. The hallaca – pronounced ah-YAH-kah – is a tropical Yuletide epiphany for the taste buds. Venezuelans, thanks unfortunately to their country’s mounting economic problems – which this year have made it harder to find hallaca ingredients there – are one of South Florida’s fastest-growing communities. Which means the Venezuelan Christmas is likely to become a familiar fixture here, alongside other Latin American traditions like the Cuban caja china for roast pig. The hallaca is as much New World statement as it is Navidad fare. Carmen was the matriarch this month when her family hosted a traditional hallaca-making party in Palmetto Bay. Those gatherings are part culinary assembly line, part drinking marathon, and most of all communal Christmas bonding. Over the years, Carmen has refined her own recipe for what is the soul of any hallaca: the guiso, or meat stew. It’s a Caribbean swirl of ingredients ranging from pork leg to leeks, from capers to annatto seeds. 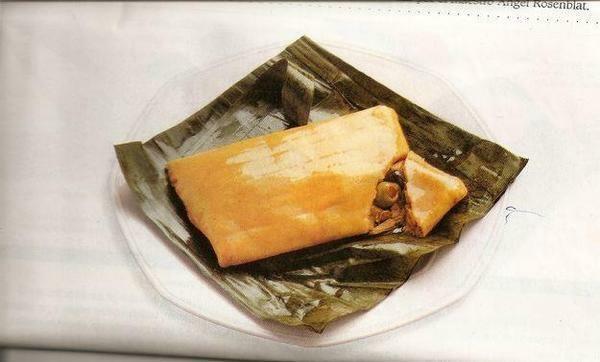 Along with the soul comes the body: the hallaca shell. It's formed from masa, which is made with the same cornmeal used for another Venezuelan favorite, the arepa. Mixing the masa to just the right consistency for hallacas is an art, which is why Carmen and her daughter Mariela prepare it almost as carefully as they do the guiso. Then the fun part starts: combining the masa, guiso and myriad other fillers such as raisins, olives, eggs and spices. It’s all hands on deck at a long, jovial table where the smell of red peppers and pimentos wafts in the air with the aroma of rum and Venezuela’s other national drink – Scotch – as well as the sounds of music like gaita. If you’ve got a political argument to vent or a good ribald joke to tell or a piece of gossip to share or a warm-hearted toast to make, this is the moment. Once our hallacas are prepared, they're handed to me and other gringos like Mariela’s husband Chris for the most important job: tying the banana leaves around them with string before they go to the steaming pot. At least they tell us that’s the most important job. Every year they tell us that. 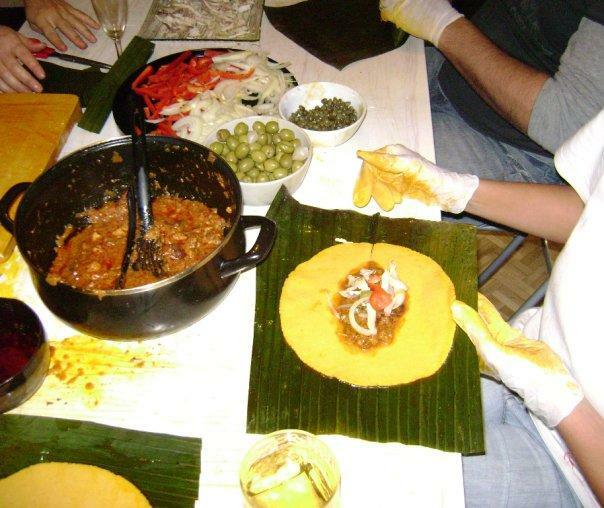 There are a number of different versions of the hallaca’s origins. One holds that slaves and servants invented it centuries ago using the assorted table scraps of wealthy colonial Spaniards. What matters to Venezuelan-Americans like my wife and Mariela is how it keeps them and their own children connected to their criollo roots. Di Stefano believes the hallaca, like the arepa, will do more than bring Venezuelans together in the U.S. It will, he predicts, bring together Venezuelans and the U.S. In the meantime, there are worse things than doing a bit of your Christmas like, as the man said, the best party people in the world. The Plight of Haitian-Dominicans: Judicial Review Or Just Racism? The Dominican Republic is right about one thing. The nations of the world are indeed moving away from birthright citizenship. In fact, only 30 of the world’s 194 countries today automatically grant citizenship to anyone born on their soil – and no European nations do. When I interviewed Colombian President Juan Manuel Santos last year in Bogotá, he crowed about foreign investment pouring into his country. A nation considered a failed, civil war-torn narco-state less than a decade ago was now one of South America’s hottest money magnets, doubling its take from the previous year. “This is completely out of anyone’s imagination,” Santos said. Maduro defeated the opposition candidate – the same challenger Maduro's mentor Hugo Chávez had trounced just six months earlier by an 11-percent margin – by only 1.6 percent of the vote. Maduro’s lame performance shook the socialists’ claim that Chávez’s revolution would be just as dominant without Chávez, who had died of cancer in March after ruling Venezuela for 14 years. Nitza Villapol was basically the Julia Child of Cuba. She wrote dozens of editions of her cookbook, Cocina al Minuto, and she hosted a Cuban TV show of the same name for 45 years. In many Cuban kitchens, there's a well-worn copy of one of her cookbooks tucked in a kitchen drawer. Christina Gomez-Pina, in Kendall, had a copy of the cookbook on her bookshelf. Her mother-in-law gave her Cocina al Minuto on Gomez-Pina's wedding day: "It sat on the shelf for nine years except for one time when I used it to make a dulce de leche cortadito."